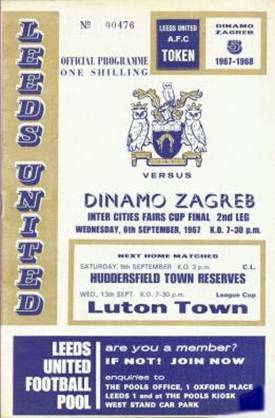 Date: Wednesday, 6th September 1967. 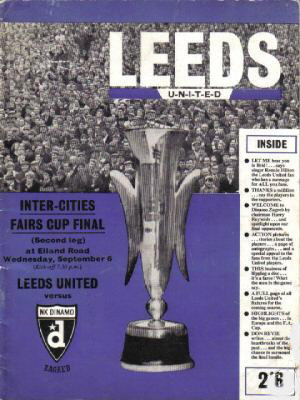 Competition: Inter-Cities Fairs Cup Final, Second Leg. 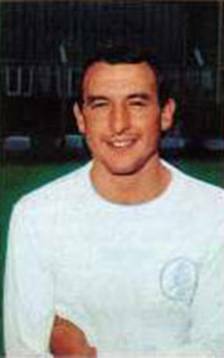 Scorers: Leeds United: Nil. Dinamo Zagreb: Nil. 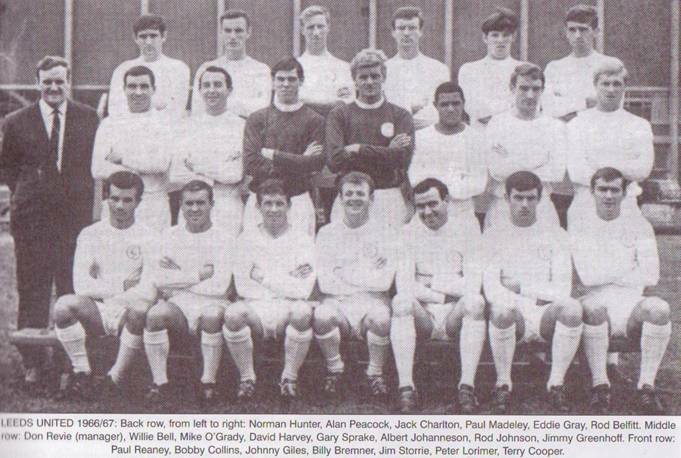 Leeds United: Sprake; Bell, Cooper; Bremner, Charlton, Hunter; Reaney, Belfitt, Greenhoff, Giles, O’Grady. 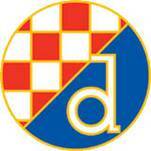 Dinamo Zagreb: Skoric; Grancanin, Brnic; Belin, Ramljak, Blaskovic; Cercek, Piric, Zambata, Gurmirtl, Rora. 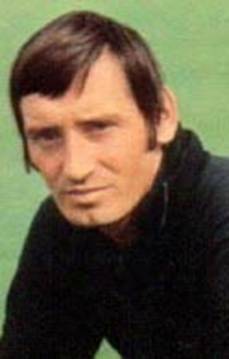 Desperate to add punch to his toothless attack, manager Don Revie toyed with the idea of recalling former England centre-forward Alan Peacock to try and break through Zagreb’s defensive iron curtain in the second leg of the Inter-Cities Fairs Cup Final at Elland Road. 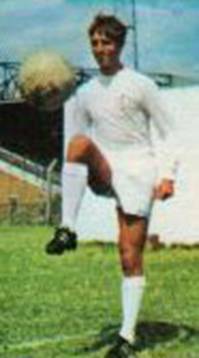 He gave the striker a run in the Reserves on the Monday prior to the final but it was clear that he would not be match-fit and he went to the Yorkshire Dales to plan his strategy while the Lord Harewood played host to the Zagreb team and entourage at Harewood House. 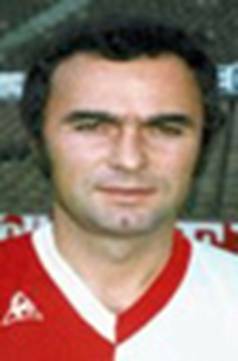 Chairman Harry Reynolds also announced that he was retiring from the position due to ill-health and Albert Morris took over his role . 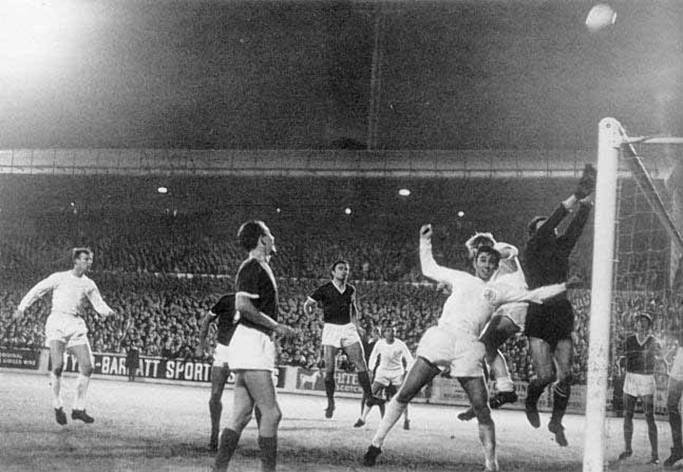 United were finding goals hard to come by in domestic competition and the injury-prone Peacock was considered to worry the Slavs with his aerial power. 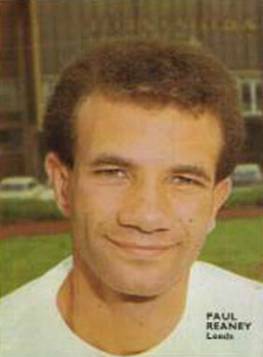 Eventually Revie opted against the move but pulled a surprise by switching right-back Paul Reaney to the wing, bringing in experienced Willie Bell at the back. For all their possession, persistence and pressure Leeds could not force open a defence which was snapped tightly shut. 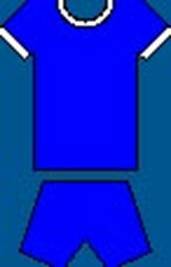 They forced a dozen corners but were suffocated by a blanket ten-man defence. 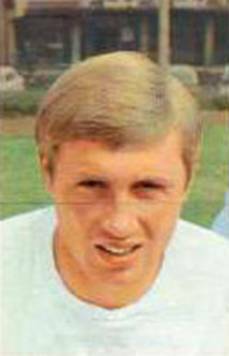 Jack Charlton added his height to the attack, Jimmy Greenhoff went close with a header and both Jack Charlton and Rod Belfitt had attempts disallowed. 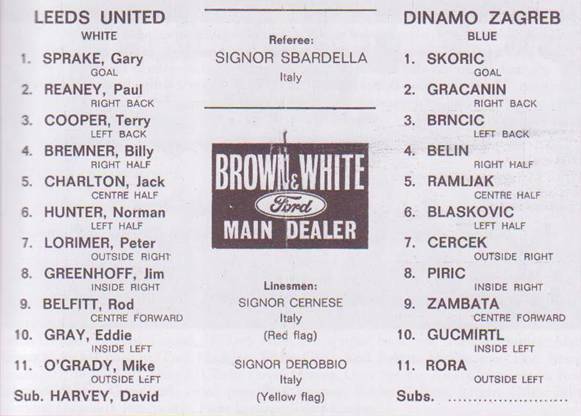 Charlton had another effort cleared off the goal-line, Billy Bremner saw another goal-bound shot cleared from under the cross-bar and goalkeeper Skoric pulled off a string of acrobatic saves as United threw everything at Dinamo. 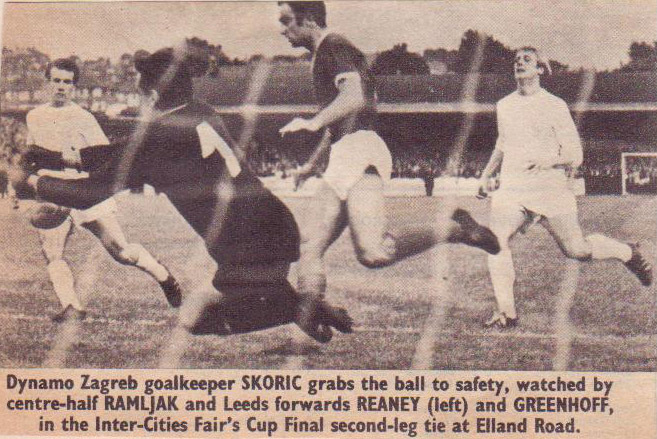 However, with Slaven Zambata again looking a class act in midfield and it was he that engineered a counter-attack at the other end and Gary Sprake watched helplessly as, with his colleagues entrenched in the Zagreb half, he was almost beaten when this rare Dinamo raid ended with a fierce shot from Daniel Piric which rattled the Leeds cross-bar. FIFA President Sir Stanley Rous presented the trophy to Zagreb. 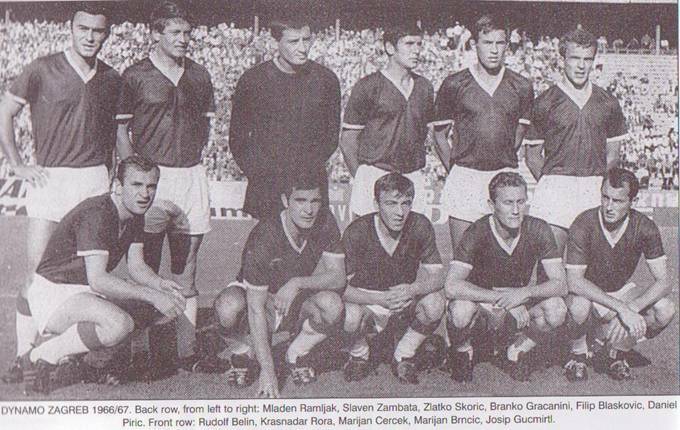 They were the first Yugoslavian side to win the competition. 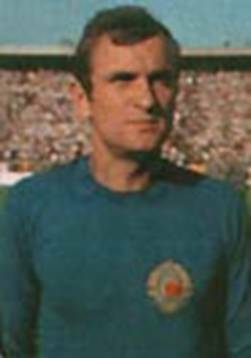 Don Revie was generous in his praise for Yugoslav victors and his own team. “Our men gave everything. I have never seen a side play itself out like they did, far beyond duty. 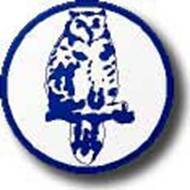 Zagreb are a fine all-round team and deserved to take the cup. 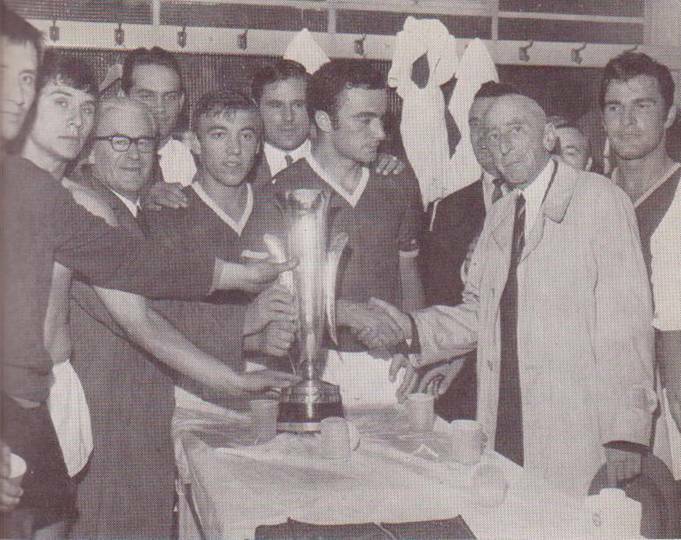 But they had the little bits of fortune that were going at times.” New Chairman Albert Morris was first into the Zagreb dressing room to congratulate the winning team. 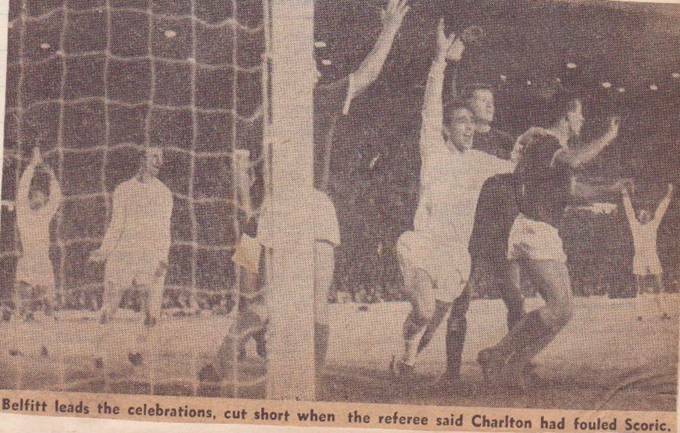 United’s only consolation was the collecting of record receipts of £20,177 from the game. 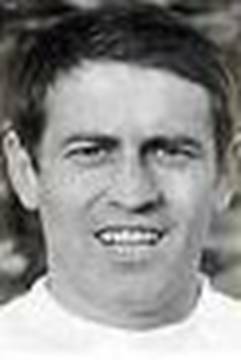 To avoid the problems of lack of striking power, United no doubt spent much of it when they paid a club-record fee of £100,000 for Mick Jones from Sheffield United just two weeks later to try and rectify the imperfection. 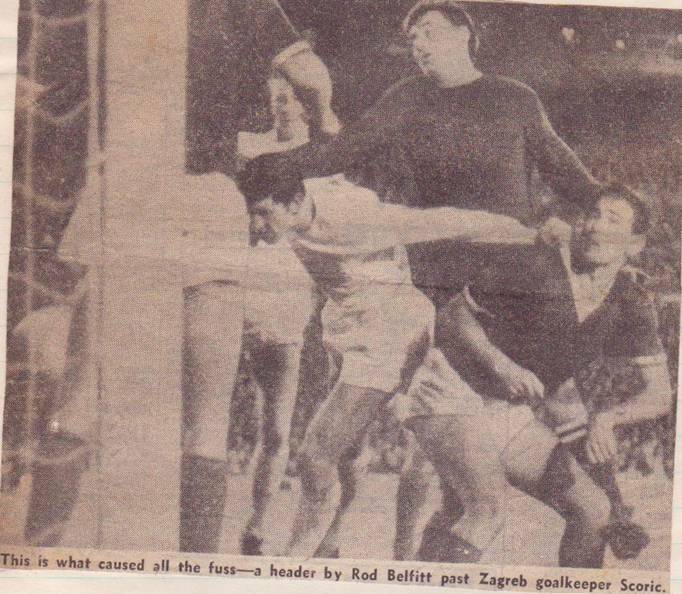 Rod Belfitt heads the ball into the net watched by Jack Charlton. 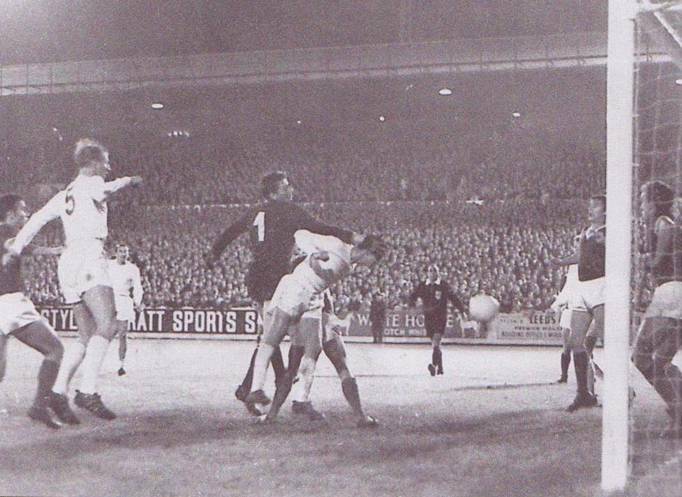 The ‘goal’ was disallowed.